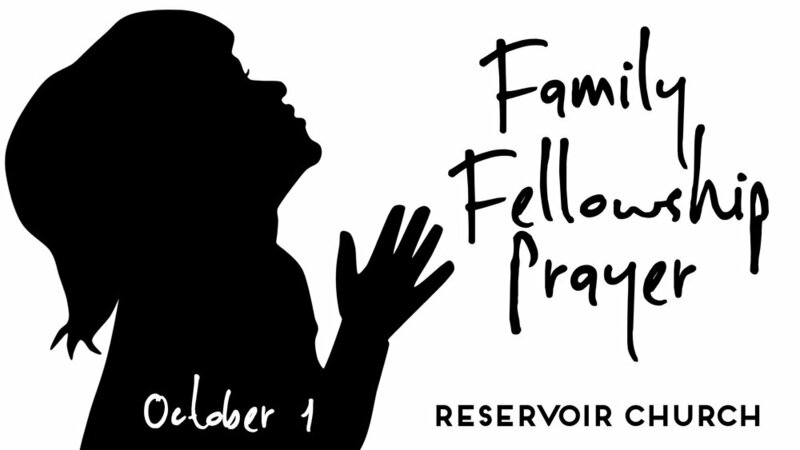 October 1 we will have a family service (all children in the auditorium) and prayer service. The schedule will include musical worship, a reflection from Acts 2 and intentional time of prayer. We will be praying for healing, safety, families, marriages and a slew of other things. Let the elders know how we can pray for you ahead of the service and we will have the congregation pray. Email jonathan@reservoirchurchsd.org. This will also be a great time for family communion. Women's Groups - There are two new opportunities for women to gather and study Scripture together. Wednesday mornings, 9 am - 11 am in PQ and Sunday evenings, 6 pm - 8 pm in Escondido. Contact sshradar@gmail.com for more details and info. All ladies welcome. Support Life - The Alternatives Women's Center in Escondido is having its annual giving banquet to support the pregnancy resource work they do. It is October 26, 7 pm - 9 pm at the California Center For The Arts. Visit awc-ca.org to register to attend and get more info. Su Refugio - One of the ministries we have supported is having a History Unfolding Benefit October 14 at 6 pm in Escondido. There will be a dinner and a silent auction. Contact lisa@surefugio.org for more info.